Once racing season begins, it seems that every week we get a deluge of race reports. Story after story of the trusted race morning breakfast, the nerves and excitement that filled the air, the crazy start, the hard effort put forth, etc etc. These are great sometimes, and I do have many people asking me, "How do you warm up?" "What kind of nutrition I use to be able to perform?" 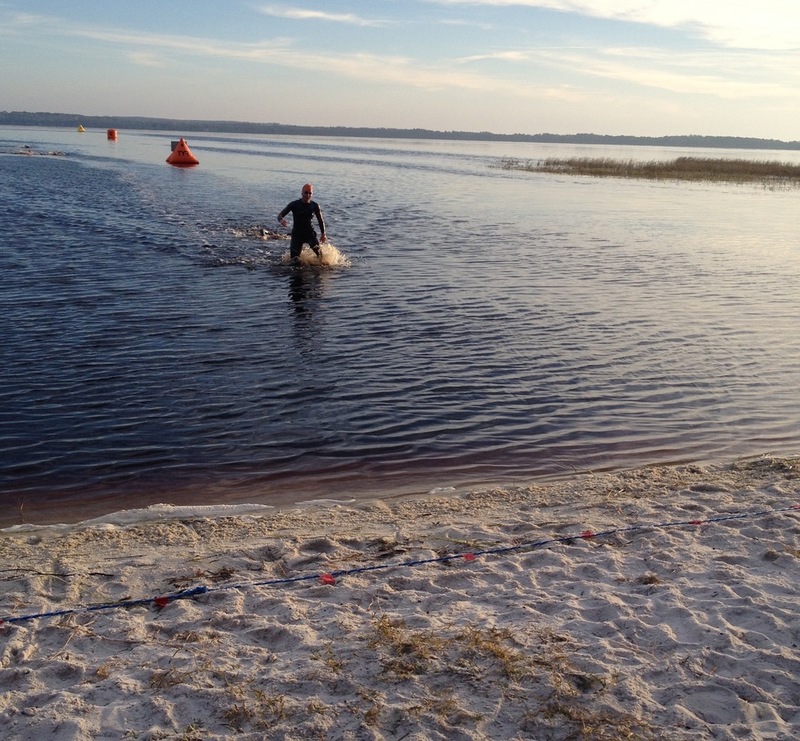 While I enjoy sharing my tricks and tips, I figured I'd mix it up sharing my experience at ITU CAMTRI American Cups at Clermont and Sarasota the last couple weekends. Growing up, my family and I would play “highlight-lowlight” at the dinner table every night. Here, I give you my highlight-lowlight for each race along with a bonus: takeaways from my first ITU races of my first pro season. Highlight: My run. Laid down my fastest 5k time with no dedicated run training to date. There is no doubt still a long way to go, but it was awesome to see that kind of progress and know that there is more there – this is just the beginning! Oh, and amazing pizza dinner with the team at Goombas the night before the race. Team IE might have a new Clermont pre-race tradition here! Lowlight: Hmm tough one, because there were so many positives in Clermont. Lowlight was probably two-fold – playing catch up after getting out of the water 20 seconds back from the main pack and then not having quite enough in the tank at the end to hold onto 10th (props to Dominika Jamnicky and Calah Schlabach for laying down a STRONG final 400m - just out-kicked me! - and to Abby Levene for an impressive 17:15 …. I’m comin' for ya, girls! :)) But in this "lowlight" lies clear opportunity for improvement, which I'm all about! Highlight: Racing on one of USA’s teams in the relay – this new format of racing, where four triathletes (two men + two women per team) each do a super sprint before tagging their teammate, is SO fast and exciting!! I would say it was equally thrilling for athletes and spectators alike and made me even more excited to race in the inaugural year of Major League Triathlon starting with its first Temple race next month (go California Cadence!). Lowlight: Mmm, there are two. 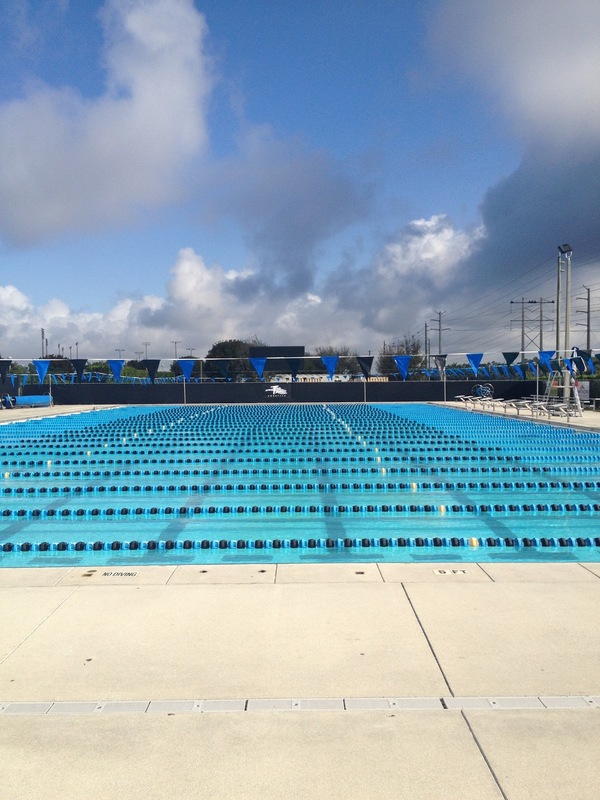 First, while I had an improved swim from Clermont, which was improved from Tritonman, which was improved from last fall (yay progress! ), I have a lot of speed to find and again I was playing catch up. That being said, having the opportunity to compare my skill/fitness to a stronger field of athletes was invaluable both in terms of gaining experience and gathering data! Second, WIND! Made for some challenging biking and running conditions (although, who am I kidding! I love a good challenge!). Greg’s master plan is working. Since last October, I’ve found significant speed in the water, and it’s continuing to come little by little every time we get in the pool (knock on wood!). But while I’m encouraged, I’m by no means satisfied. Being THIS close to front pack out of the water has made me hungrier than ever. We barely skipped a beat of training for the Florida races and are already building up yards again to keep finding seconds. It takes a village. Between the trip from Vegas to the east coast and our time at Florida, I have been absolutely overwhelmed by the support and generosity of the Team IE family. Between homestays, home-cooked meals, cheering squads on the sidelines, it’s incredible how at home you can feel when you’re so many miles from home. 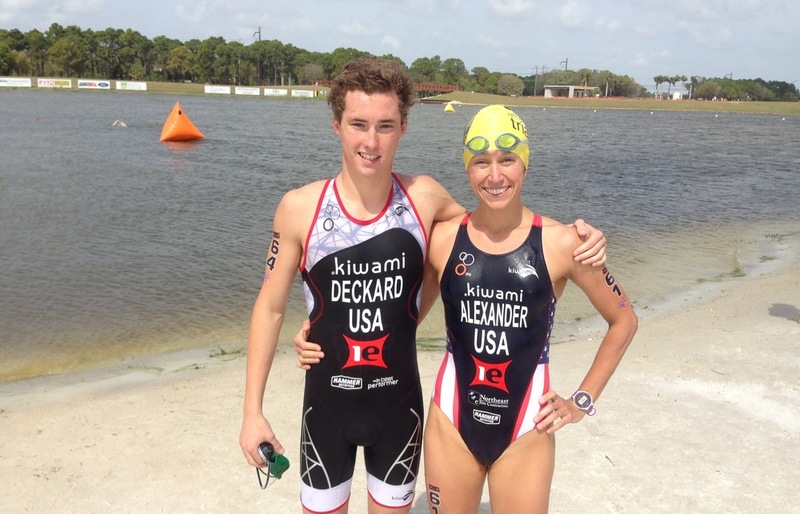 Thank you to everyone who has supported my teammates and me, including incredible sponsors like Kiwami, which OVERNIGHTED my suit so I would be ready to rock in Sarasota. Above and beyond. Thank you to everyone. And because pictures are worth a thousand words, a few snapshots from the weekend! Team IE + Kiwami + USA Teammates! Calm before the storm in Clermont! Our four-legged friend in Clermont! Our little cheerleader in Naples! Look fast, feel fast, race fast. Thanks for your support Kiwami! Pre-race warm-up on the bike -- thanks to Sport Crafters for the travel trainer! Not a bad place to nap on the day off! Beach swimmminggggg! Thanks to Rudy Project for keeping my eyes shielded! While many eat dinner, I'm swimming into the sunset. Roxie = our triathlon mom in Clermont! Miss her already.